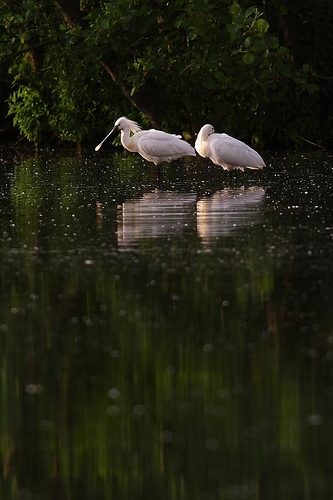 Two Spoonbills in the water with reflection. They take a rest in the Loetbos (near Lekkerkerk). Eurasion Coot pair feeding their chick on the nest. I'm not a fan of bird nest photography, but these Coots decided to nest in my own backyard and didn't mind my presence. Here, the chick is being fed with catterpilars that fell in the water. 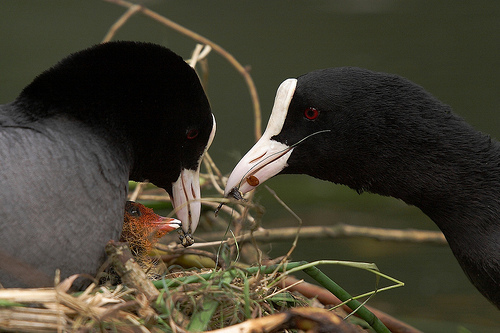 Closeup of Eurasion Coot on the nest. 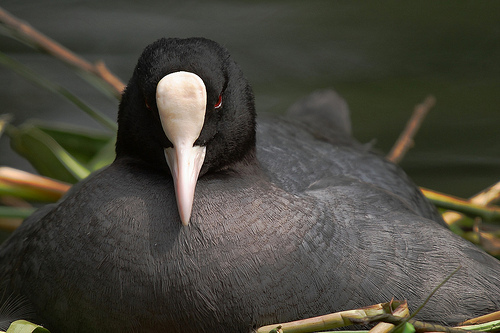 I'm not a fan of bird nest photography, but this Coot decided to nest in my own backyard and didn't mind my presence. Flying Stork. 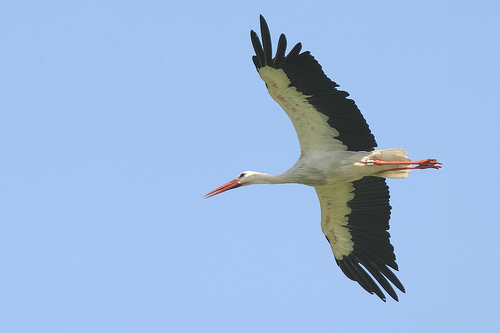 Storks are doing well in the Netherlands again. Thanks to protection programs we can see them regularly.